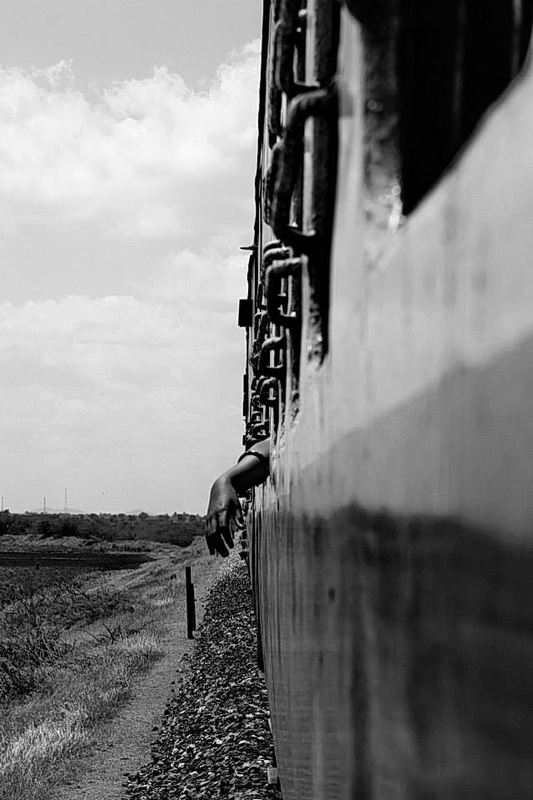 A train journey is just one of those things you MUST do if you make it to India. 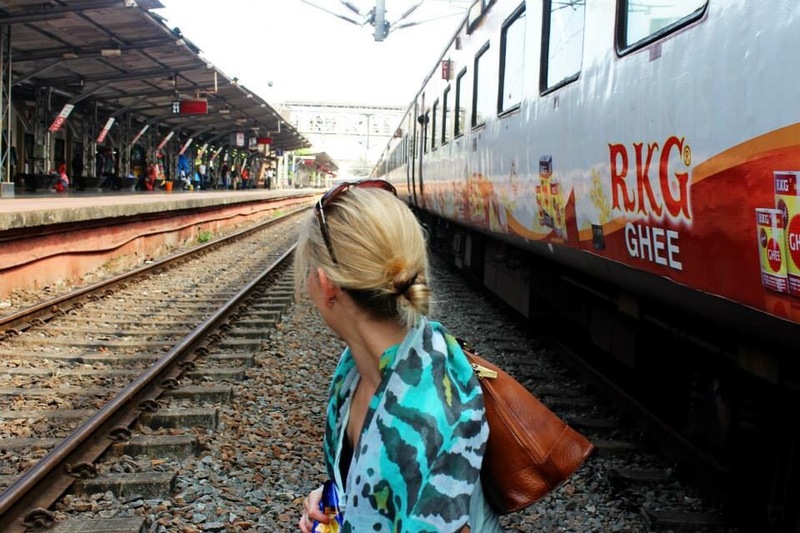 With over 11,000 trains running 365 days of a year, train journeys in India cannot only make for an exciting an adventure but are also often a very practical way to get you from A to B. 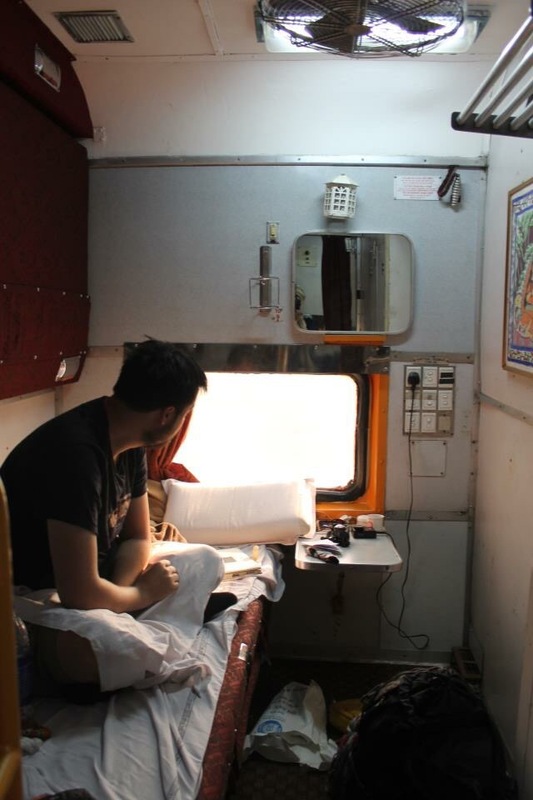 But without a bit of preparation, it can be a daunting experience so here’s what you should do before heading off on your indian train adventure. There are so many different types of train class in India that it pays to do a quick Google search to figure out which one is right for you. Otherwise you could easily book a first class ticket expecting it to be, well, first class when actually it is more like 4th or 5th class! Confused? No wonder! Most overnight trains will have 2AC, 3AC, Sleeper and General class carriages. Certain trains (usually in tourist areas) will have 1AC as well and occassionally you will stumble across First and Chair Class. The AC (air conditioned) carriages are more than likely what you want, or you may want to try sleeper class. First class carriages are largely a historic thing and you probably don’t want to travel in them. Think of First class carriages as being like a slightly worn out armchair. Once upon time it was mega comfy and the chair everyone wanted to sit in but then one day, you bought a new chair which was way more comfier. First class carriages are like the original armchair where as the AC carriages are the new armchair. 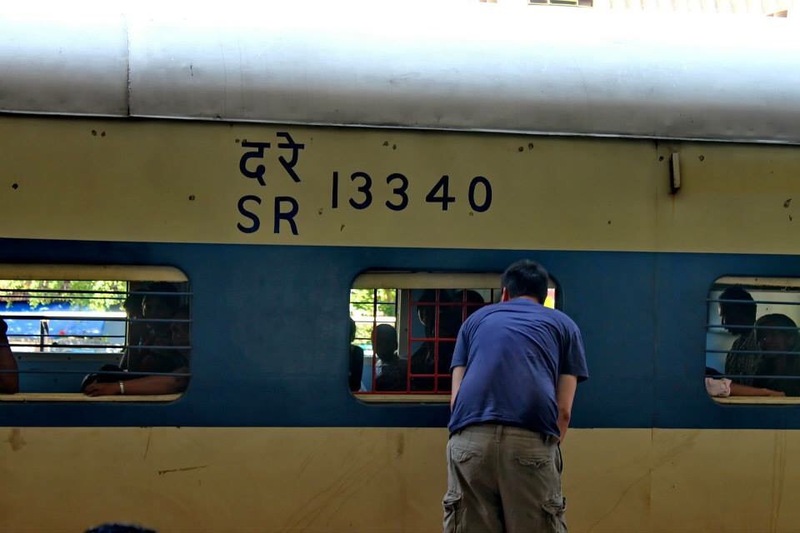 Don’t be confused by the name ‘sleeper’ – all the AC carriages (accept the chair class ones) will have beds in them for an overnight journey, as well as the Sleeper class. Can you see why I suggested research now? You can usually just turn up on the day and buy a ticket for General (GN) class but a ticket doesn’t mean you will have somewhere to sleep, or indeed somewhere to sit. You may be standing with hundreds of other people in a tiny space all night long! Instead book ahead from the comfort of your own home a few months before you even enter India. This will mean you can take your pick of which seat class you want to travel in and will turn up knowing you will have a reserved spot, just for you. If you are booking from abroad, the website Cleartrip is the easiest way to arrange tickets. I’ve never felt unsafe on an Indian train but there are opportunistic thieves everywhere in the world so it is best to protect your gear and lock it up at night. There are straps under the bottom bunk on a train to chain your bag too but you will need to buy a decent lock and chain in advance. Don’t buy the lock and chain in your home country – you will easily find them in an Indian market or hardware store for a fraction of the cost at home. If you struggle to locate one then find a rickshaw driver and ask him to take you to one. It is worth paying to be taken to the most likely shop that will sell what you are looking for rather than traipsing round in the heat! 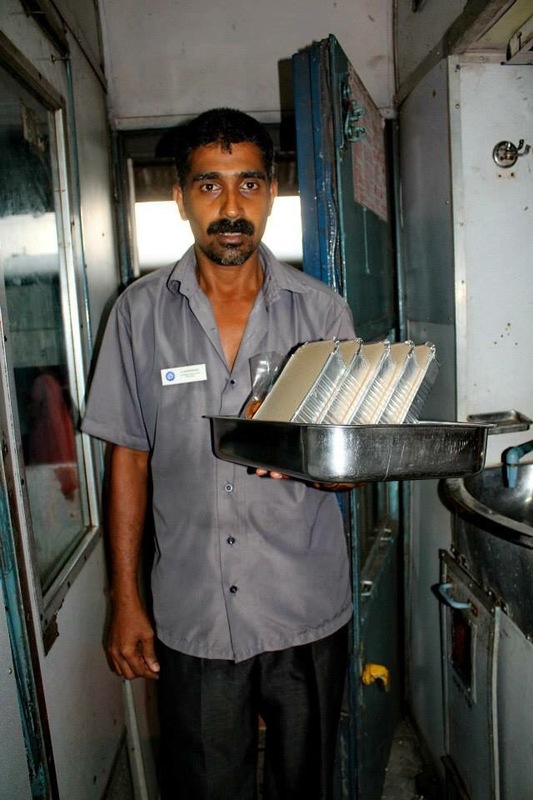 While some Indian trains have catering carriages, most don’t so it is worth stocking up on a few snacks ahead of the journey. You can usually buy packets of Indian savoury snacks at train stations or if you pop to a local food shop you should be able to buy some crisps. Always bring water. It is usually 15RS for a large bottle and is always best to buy a couple ahead of a journey rather than risk going without. 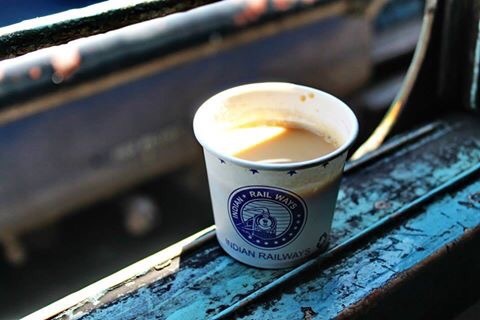 If you don’t manage to pick up drinks and snacks ahead of your journey, there will often be a Chai wallah on board the train, as well as other people who hop on and sell snacks at train stations. If you are feeling a little more adventurous, get to grips with the train timetable and work out which stations have longest stops. Although most are usually only a few minutes long, there are normally a couple of times on a journey when the train will stop for 10 minutes or so which should give you time to hop on and off. I have never managed to do this myself. I would be too scared of the train leaving me behind with all my luggage on board! …and even then, don’t believe it will be leaving from that platform! For some unknown reason, India seems to have a lot of platform alterations. If you don’t keep an eye on it this can lead to some tricky situations! Keep checking the board for your train number and be prepared to dash if necessary. In 2011 we nearly missed our train from Jaipur to Delhi due to one of these pesky platform changes. We ran as fast as we could through the busy station and just managed to hop on to the moving train as pulled away! It was quite an adventure but not one I we had planned for and probably one we could have done without. Indian train journeys are often a brilliant way to meet people and chatting to people can help keep you safe. Make friends with those around you and at least then you have someone to call on if you have any trouble on your journey. You don’t need to be best friends with them but a polite ‘hello’ and offering of food can help to show you are friendly and secure help if needed later. Even if you don’t speak to others, it is worth remembering that most people on your train are likely to be decent human beings. If you do encounter difficulties with another passenger or even just with something mundane like figuring out train times, then someone is bound to step forward and help. We’ve never been in a situation in India where we’ve needed help and no one has been willing to. Usually there will be multiple people who are happy to help and make you feel welcome in their country! In 2011 we were getting a train to New Delhi and across from us was a Mr Singh. We had a chat to him and he told us that he was also going to New Delhi. “Brilliant”, we thought. “He’ll be able to tell us when we arrive”! Mr Singh confirmed to us that he was indeed happy to help by telling us when we reached New Delhi. The only problem was that he didn’t realise when we were there! Cue us looking out the window and asking Mr Singh if this was New Delhi and Mr Singh getting quite frantic as it was! Luckily we knew the time that the train was due into New Delhi so we had a vague idea that we were in the general vacinity or else we may have ended up in a totally different city all together. 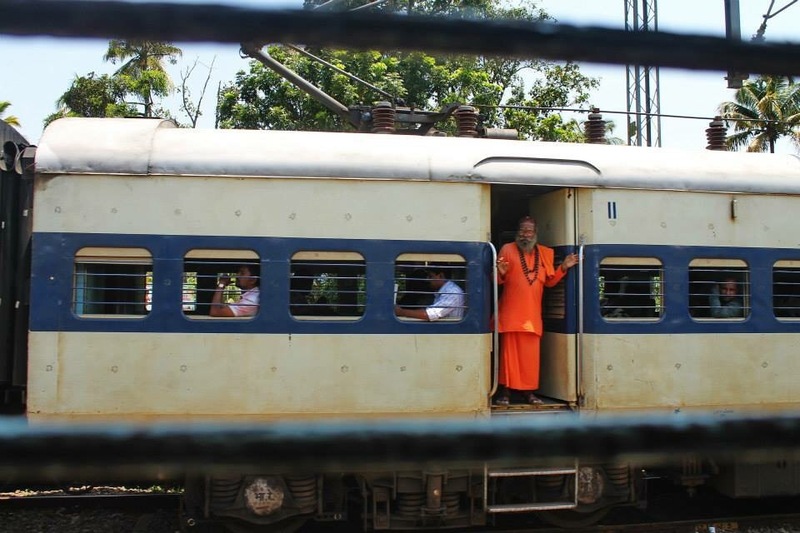 Although trains in Indian aren’t always on time, if you at least have some sort of idea of the time your train is due, you will know to be awake and ready to go at a moments notice.